Los Angeles is a city in California, US. It is popularly known as the “City of Angels”, the home to “Hollywood”. The nation’s film and television industry is based out of this city where millions of people throng in the hopes of achieving stardom, or just to reside in close vicinity to stardom. Some of the popular landmarks are the Walk of Fame, and the Universal Hollywood Studios. When visiting Los Angeles you shouldn’t settle for anything less than a five star luxury hotel as the city is built on extravagance and the only way to truly experience the spirit of the city is to go extravagant yourself! 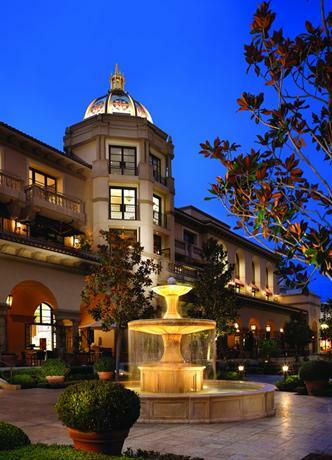 So these are the top 10 luxury hotels in LA. The greatest attraction of the Four Seasons luxury hotel is that every single room has its own private balcony. Like all other Four Seasons Hotels around the world, you can expect to find restaurants with great food, excellent service, and rooms that are typically luxurious. If you’d like to meet other guests or get a drink, you can head on over to the Windows Lounge, or you can get Italian cuisine in their restaurant, named Culina. LA has two different Four Seasons hotels, so you should know that this particular one is in South Doheny Drive. 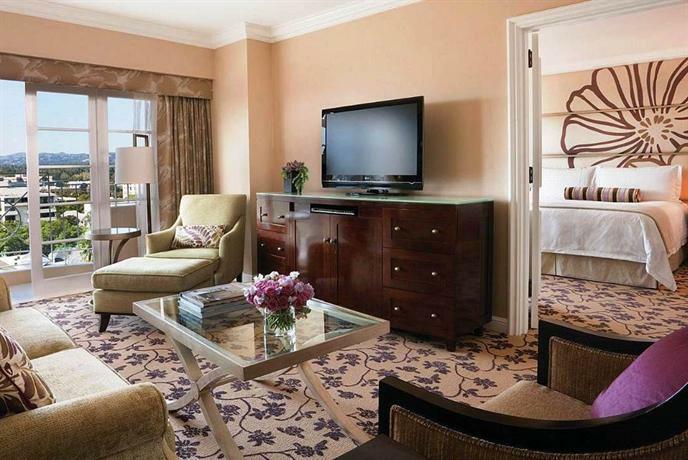 This hotel is situated just a few blocks from Rodeo Drive and as such it’s quite well located. 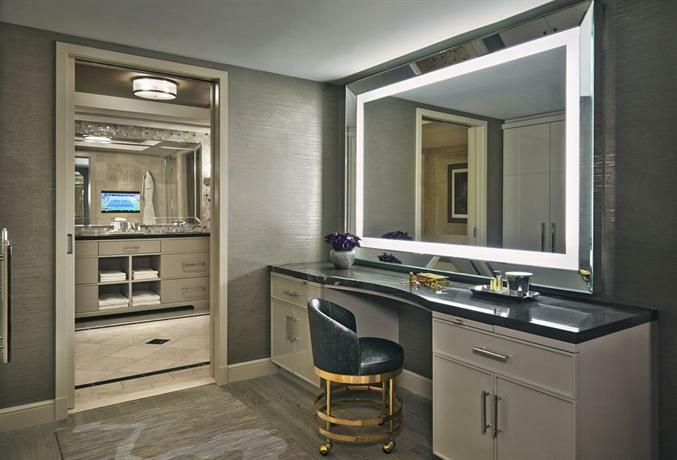 This lavish luxury five star hotel is insanely expensive and insanely opulent. It features a 20,000-square-foot spa, which in turn features an indoor mineral pool! The hotel is complete with all the most necessary luxury hotel amenities like spa, rooftop pools, restaurants, etc. If you’re hankering for some classy American cuisine, you can head over to their on-site restaurant Georgie. The interiors of the hotel are designed in a classical styling with classic archways, vast columns, and even gentle fountains. The rooms are equally stunning with chaise lounges, marble bathrooms with lovely mosaics painted in and classy wooden furnishings. The rooms are also incredibly modern with their iPod dock stations, and LED Smart TVs. This is the place to be if you want to experience true LA luxury. While The Peninsula Beverly Hills luxury hotel might be an expensive outing, it’s all well worth it if you want to enjoy prime LA in all its glory. One of the greatest advantages and luxuries of this hotel is the fact that they are extremely flexible with check-in and check-out. You can be moved into your room as soon as you land in LA, and you can leave the hotel premises even as late as 8PM if you so choose. Located in South Santa Monica Boulevard, this boutique hotel also gives you access to one of several garden villa suites, which comes replete with a spa, and a complementary choice of tropical fruits. The hotel has been deigned in a Renaissance style, and it often looks like a French Riviera palace with stunning light work at nights. The walkways of the hotel can sometimes feel like a lovely maze flanked by lemon and palm trees. There are 195 rooms overall, with 38 suites and 17 private villas. All the rooms, without exception, have sliding doors that can give you a stunning view of either the garden or the city beyond. Everything in the room can be controlled with a single iPad, the temperatures, the water pressure, the ‘do not disturb’ sign, everything. You also have a menu of DVDs with all Academy Award nominated movies since 1929. Perhaps the greatest attraction of this luxury five star hotel is the fact that it’s one of the most favored hotels amongst celebrities and other important personalities. This luxury hotel is positively brimming with LA lore and fables. If you’re into pop culture, this is the place to be. This Pink Palatial hotel was made famous across the world because of The Eagles’ “Hotel California”. This is also the hotel that Elizabeth Taylor frequented for all her honeymoons, and it’s said that Katharine Hepburn once jumped into the pool completely clothed. The hotel features some really quirky details as well, such as the pink plaster walls with Mexican plants, the green striped poolside beds, and the banana leaves painted over the corridor walls. There are nine different categories of rooms available here, the most grand being the private bungalows, some of which feature their own pools and grand pianos. The bedrooms also continue with the pink and green aesthetic predominant throughout the hotel, as such it features a distinctly Californian style aesthetic with some strong feminine accents. 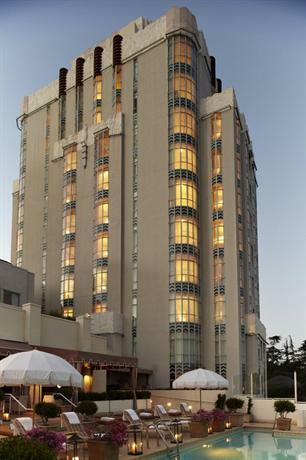 However, the Beverly Hills Suites have been designed in a slightly different style, with more of an Art Deco leaning. The hotel is located in the enviable Sunset Boulevard, and is within close quarters of Melrose Avenue, West Hollywood, and even Rodeo Drive. This luxury five-star hotel is a great option for those who want to be in LA, but still want to be away from all the noise and activities of the city. Located between Brentwood and Beverly Hills, it’s quite remote and offers a very personalized vibe, which makes one feel as if they're in a private villa rather than a luxury five star hotel. It is well within commuting distance to prime LA so that shouldn’t be much of a problem. You can be in Rodeo Drive within 5 minutes, and you can go to other spots like the Sunset Strip and the Santa Monica Beach within 10 or 20 minutes. The Bel-Air has been designed with a 20th-century glamorous aesthetic leaning, featuring a lot of white Italian leather, charming gazebos and terraces, and amenities such as a spa, outdoor pool, and the likes. The private garden in the villa features over 200 species of exotic flowers and orchids. There are 103 rooms and suites over all and they all have their own iPad controls to handle all the functions of the room. Furthermore, the bathrooms have really advanced Japanese toilets. As such, the hotel feels luxurious and extremely modern. 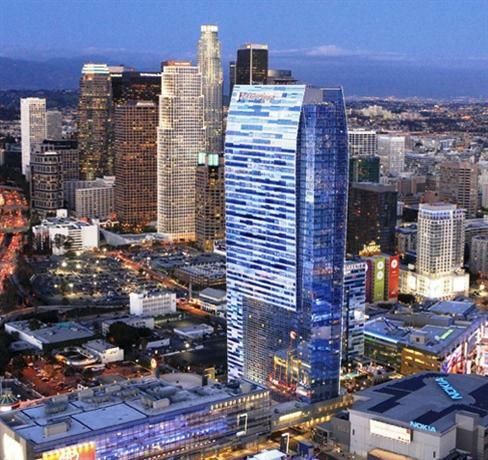 The Ritz-Carlton is situated in a great downtown location, and you can simply walk on over to prime attractions like STAPLES Center or The Grammy Museum . The rooms and suites of the hotel feel typically cool and breezy with bright color palettes, wooden furnishings, and crisp white linen. You can even access the outdoor rooftop heated pool and jacuzzi from the 26th floor, and while taking a swim you can also look out at LAs glorious skyline. The Ritz-Carlton Marina del Rey is the only luxury five star hotel in all of LA with a waterfront pool and whirlpool feature. The location of the hotel is stunning and beautiful, located on the Marina, and about a 5 minute drive to LA International Airport. The rooms in the hotel feature a lot of warm blue and gold shades. The hotel also gives out bicycle rentals if you want to take a ride down the boardwalk. If you’re looking for some gastronomic delights, then you can head on over to the Wave Poolside Bar + Grill for some great poolside California cuisine! 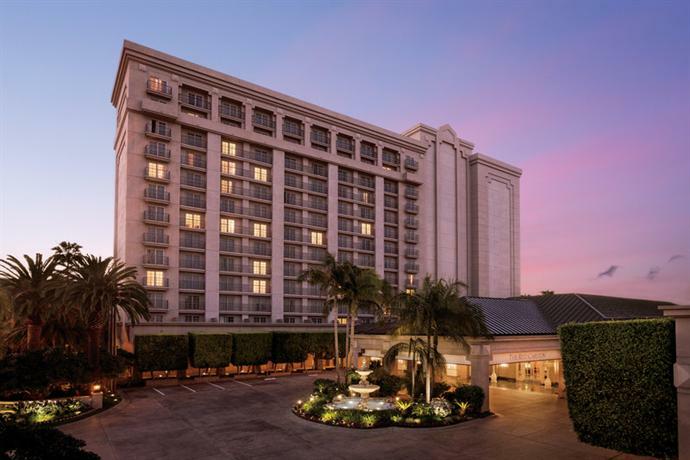 The Viceroy L’Ermitage is a really considerate luxury hotel located in the very center of Beverly Hills, and it’s happy to go all out of its way to accommodate all its guests and even pets! They feature large, spacious rooms complete with walk-in closets and private mini-bars. If you have a pet, you can be assured that they’ll be treated to luxury as well, with lush beds and complementary welcome treats. If you’re traveling on work, the hotel also features business centers so that you have everything you need to work in quiet and peace. They feature a french restaurant named Avec Nous, and among other amenities they also feature a spa and a rooftop pool, the latter of which gives you a complete 360 degree vista of the city. If you’d like to step outside the hotel and explore some of the city, you can head over to Venice Beach, or you can check out the Griffith Observatory, both of which are within a short driving distance from the hotel. If you want to stay at the Four Seasons but still want to be connected to a prime shopping center, then this is the one to go for. It’s located in Rodeo Drive, and has played the host to some of the elites of the world since its establishment in 1928. 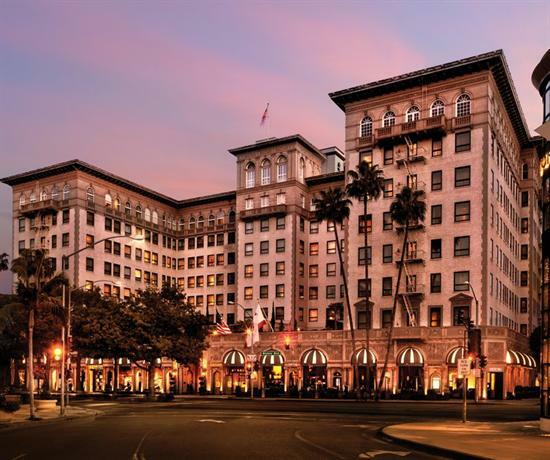 In fact, Julia Roberts in “Pretty Woman” stayed in this very hotel, before she took a drive down Rodeo Drive. The rooms are also designed in an elegant and sleek manner with marbled bathrooms, and the service is friendly and efficient across the board. 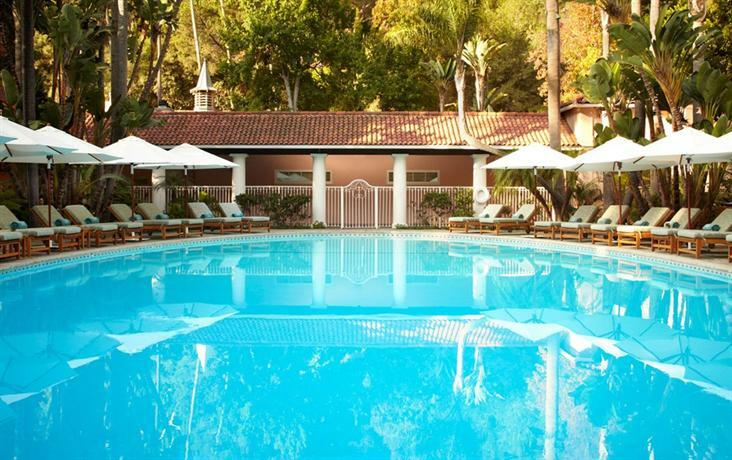 Mr C Beverly Hills is a luxury boutique hotel located in one of the most hip neighborhoods of LA. The rooms come with furnished balconies with stunning views of the city. The general color palette for the rooms is red-and-cream with a lot of Italian furnishings and marbled bathrooms. If you’re in need of a little relaxation, you can even avail of the spa services or go sunbathe on one of the lounge chairs by the pool. The hotel also features a charming Italian restaurant with a menu comprising Pizzas and Pastas. You can while away your time at the restaurant as you enjoy some jazz music. 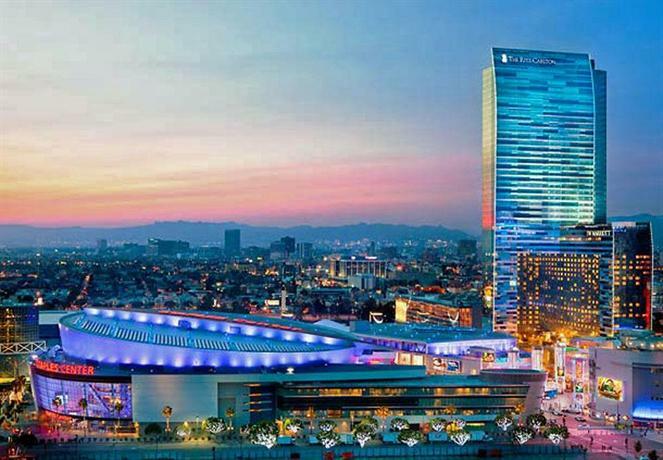 JW Marriott is a luxury hotel placed in a prime location for those who love some of the work being done in LA LIVE, which boasts a levy of stadiums and theaters such as the Grammy Museum and the STAPLES Center. In addition to being very well located, it’s also a great hotel for business travelers, because you can easily walk over to the financial district of the city. The interiors of the hotel feature a typically Californian bright blue and yellow color palette. The rooms come equipped with their own docking stations, mini-bars, and 42 inch LED TVs. The hotel also features a rooftop pool with an adjoining bar, and they have three great restaurants that you can go to should you be in need of a nibble. 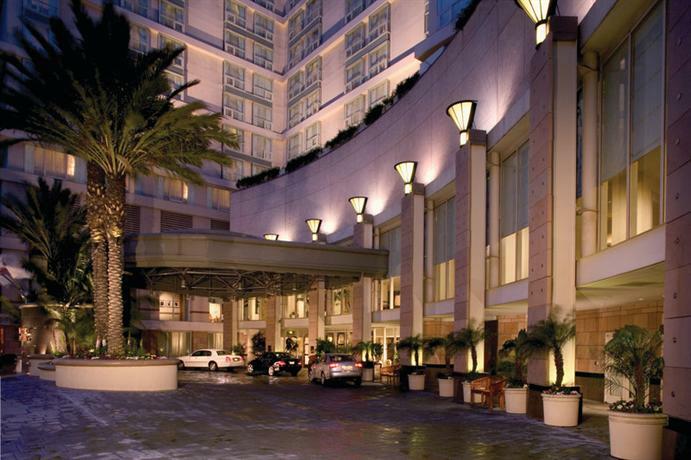 However, the only minor complaint that has been made about this hotel is that for all other attractions of LA, besides the financial center, the guests need a car to travel. One of the things that really sets Omni Los Angeles apart is the fact that unlike all other luxury hotels in LA, it doesn’t suffocate you with its excesses. It’s a simple and classy hotel exuding a quiet charm. It’s sprawled across 17 floors, and has 453 rooms in it, all of which are incredibly well designed and decorated. The staff in the hotel is very efficient in their duties and also very friendly. In addition to all of that, Omni is also a very family-friendly hotel to be in, and they have a program called Omni Sensational Kids which will ensure that all kid guests receive a backpack with educational material, a kids’ restaurant menu, card games, and plenty of crayons. The color palette of the rooms generally consist of blues, browns, and cream shades. This trendy hotel is truly a favorite amongst all kinds of celebrities. One of the reasons people tend to be attracted to this boutique hotel as opposed to some of the better known hotels is because of its more laid-back and casual attitude, without ever letting that slip into inefficiency. The hotel is designed in an Art Deco aesthetic which is yet another aspect of the hotel that many find to be a charming oddity in LA. 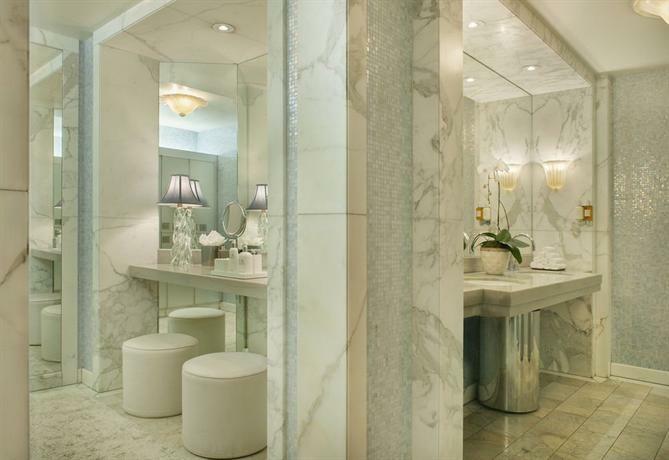 It has played host to such revered names as Truman Capote, Marilyn Monroe, Howard Hughes, and many others. All the rooms feature floor to ceiling windows that look out over the whole city, and they also have their own Nespresso machines. This boutique West Hollywood hotel offers a very free-spirited nature and that is something that guests find very appealing. 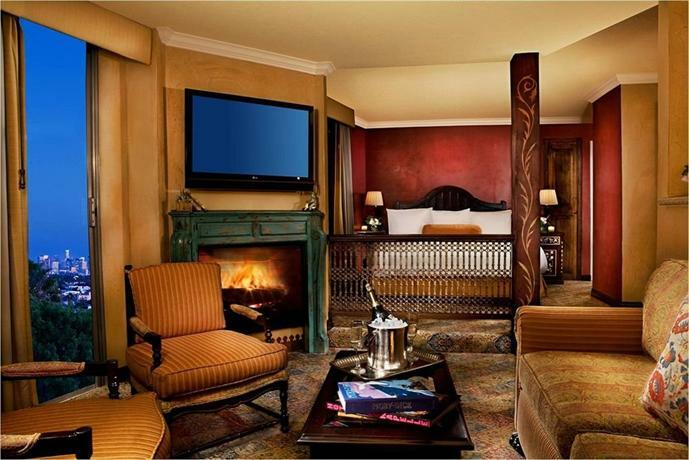 The interiors of the hotel features some oriental rugs, antique furniture, and the tiles feature mosaic designs on them. The rooms, however, are quite modern with the availability of amenities such as iPod docking stations, WiFi, and mini-bars. One of the great attractions of the hotel lies in all of its rooftop amenities, such as a rooftop pool, and the concurrent view of the city. 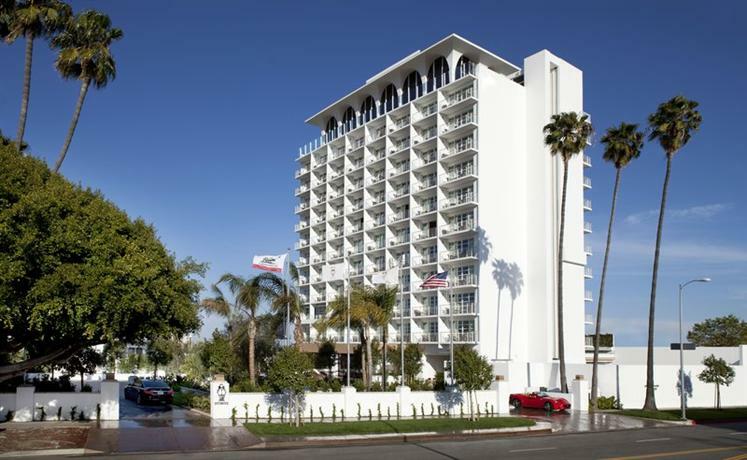 This hotel is also located in a great area, surrounded by prime attractions such as Rodeo Drive, the Venice Beaches, and Universal Studios. The Sunset Marquis is a trendy hotel located in one of the hippest locations in all of West Hollywood, that is, Sunset Boulevard. In addition to the great location, one of the things that really draws people in is the fact that the hotel’s on-site recording studio has been used by musicians and artists like George Clinton, Ozzy Osbourne, and the Red Hot Chili Peppers! The hotel also features a charming bar called Bar 1200, and it’s a great place to interact with other guests and hope to sight some celebrities. The rooms of the hotel also feature rain showers, along with mini-bars, and even LED TVs. So if you’re looking for a luxury hotel that is charming, has a deep sense of heritage, and has been frequented by famous icons, then this is the perfect hotel for you.